Looking for a Commercial General Contractor? JRC Exterior Solutions is experienced in all aspects of commercial roofing. Services such as installation, commercial roof repairs, maintenance and specialty roofs. All of our roofing and exterior projects are inspected and warrantied. Call us today or fill out out estimate form. Hotels, shopping malls and other commercial construction projects can either be a smooth task or a huge pain depending on the commercial general contractor you choose. Things can turn for the worse if you hire a firm who has a poor reputation or if they fail to understand your goals as well as the vital aspects that are particular to your business. Whether you are planning to establish a new business in Denver Colorado or you are moving your existing business to any of its surrounding areas such as Brighton, Highlands, Lakewood, and Ft Collins, you can find reputable commercial general contractors in Denver Colorado who have the expertise and experience needed to effectively handle various commercial projects, such as restaurants, hotels, retails store, office building, shopping mall and industrial building among several others. From site selection to the pre-planning stage, pre-construction stage to making all the necessary arrangements, to designing the structure and giving a precise price quote for the entire project, an experienced commercial general contractor in Denver Colorado can effectively work to suit your needs. 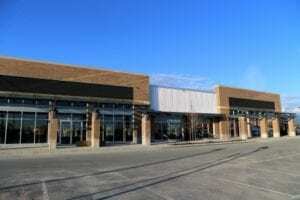 Why hire a professional commercial general contractor in Denver Colorado? Save time and effort: Commercial general contractors can save you time and efforts by taking all the responsibilities of your construction project on their shoulder, giving you more time to devote to your core competencies. Cost control: This is probably the most important benefits of hiring a reliable commercial general contractor in Denver Colorado. They will contact all the relevant industries on your behalf, receive competitive bids about your project, suggests different cost-saving measures as well as other factors about the locality and the construction guidelines. Right quotation and implementation: A commercial general contractor can help you take the right decision about the estimated cost of your project. They will tell you the right ways to cut-down extra costs as well as other unnecessary charges. In addition, an experienced commercial general contractor in Denver Colorado will take the right steps towards implementing the project successfully. Regular field supervision: A general contractor will effectively supervise your work and give directions on how to make your project successful. They examine the quality of materials supplied by vendors, protect the property from vandalism and external threats, and also work to represent you (the owner) well.